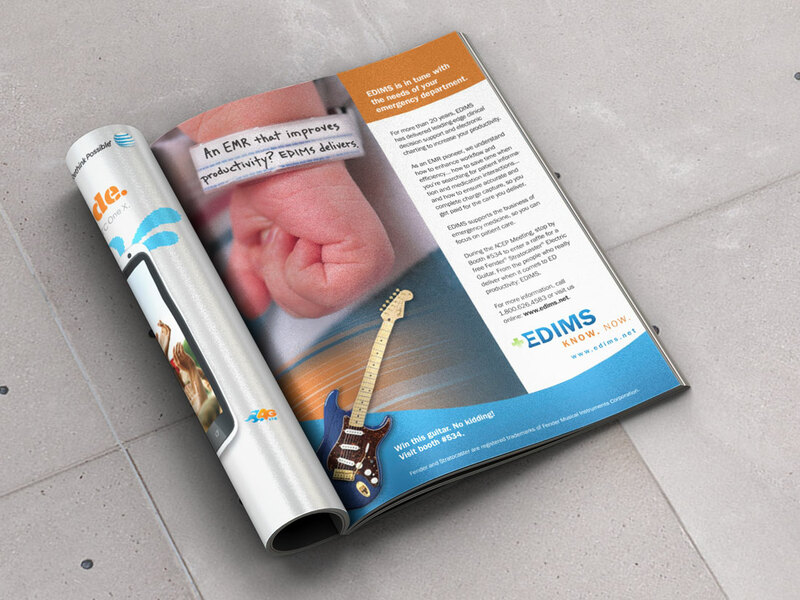 Learn how Bryant Brown’s healthcare marketing specialists help EDIMS successfully communicate with hard-to-reach C-suite decision-makers. For EDIMS, Bryant Brown provides strategic and tactical planning, SWOT analysis, market research, Web programming, and design and copywriting for print and digital advertising. 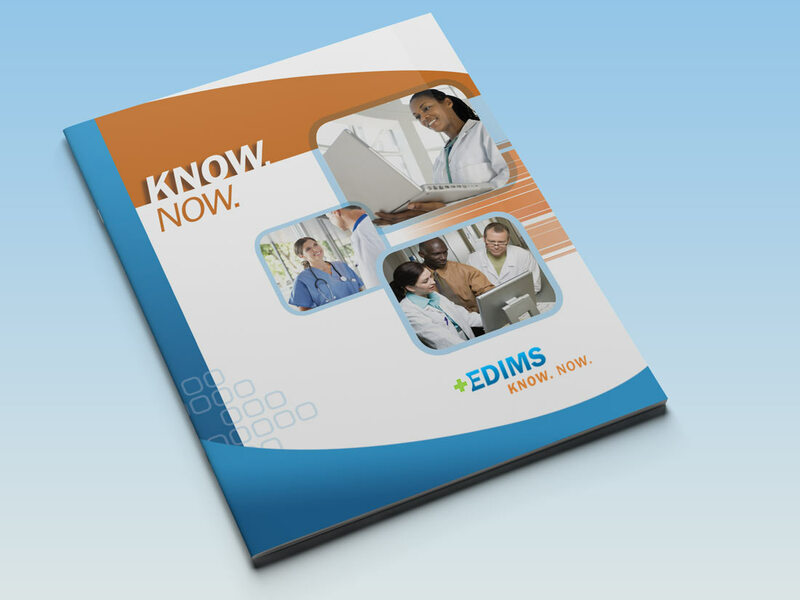 Generate customer leads among hospitals and urgent care clinics for an electronic medical recordkeeping system designed specifically for acute care settings: EDIMS – Emergency Department Information Management Systems. The target customers – Chief Executive Officers, Chief Technology Officers, Chief Information Officers, and Chief Medical Officers, as well as physicians, nurses, billers, and coders – are wary of EMR companies that promise to implement a cohesive system but instead consume the hospital’s budget while struggling to integrate the necessary technology. Target customers’ wariness in some cases even extends to their reluctance to visit EMR suppliers’ exhibit booths at HIPAA and other key conferences. EDIMS promotions must assert the company’s identity and the unique attributes that distinguish it from the overpromising latecomers impairing the integrity of the entire community. Bryant Brown helped create healthcare marketing promotions featuring the system tailored specifically to emergency rooms and supported by onsite as well as online, reliable training and service. Promotions focus on the system’s proven results, with case studies showing improved patient satisfaction, productivity, and overall hospital profitability, driven by EDIMS innovations in comprehensive computerized provider order entry (CPOE), real-time charge capture, and thorough documentation of ED patient encounters. 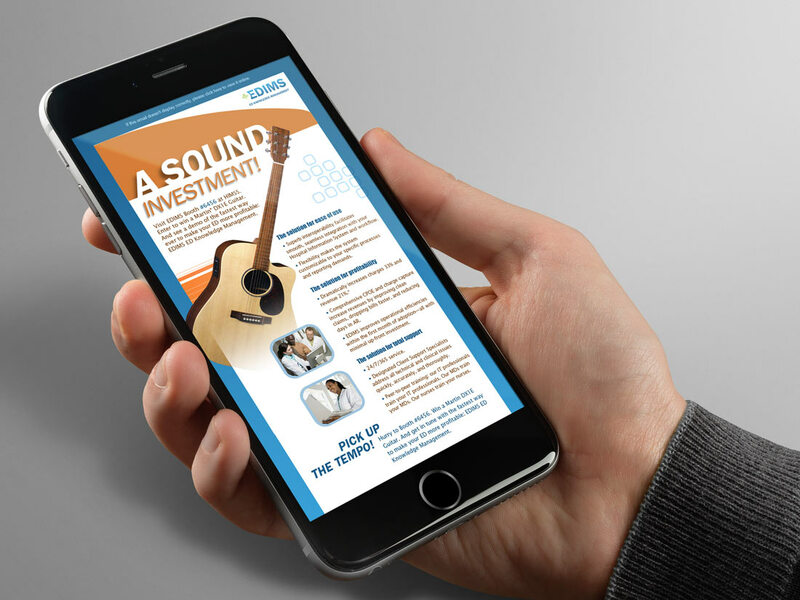 To build traffic to the EDIMS booth at HIPAA, Bryant Brown created a pre-meeting and at-meeting campaign promoting interactive booth events, capped by an annual contest awarding each winner an attention-getting prize – a Martin guitar. Campaign results exceeded projections. EDIMS gained recognition as a proven heavyweight. At the annual HIPAA Summit conference, the EDIMS booth and events are among the most heavily attended by hospital C-suite decision-makers. EDMS has now been an industry leader in this segment for more than 20 years. The company continues to advance its technological solutions and build its customer base.